The Australian GDP is the main quotient of the economy of this country. The full form of GDP is Gross Domestic Product and it is a denominator of the market value of the goods and services for a specific period. The equation of a GDP is consumption + investment + government spending + (export – imports). Though GDP and GNP are two identical terms there is a huge difference between both. GDP is also known as GDI whose full form is Gross Domestic Income. The three eminent international organizations European Union, International Monetary Fund, World Bank, Organization for Economic Cooperation and Development and United Nations have together created a book named ‘System of National Accounts’ which contains the global standards for assessing GDP. Every government has its own national governmental agency who measures the GDP statistics. 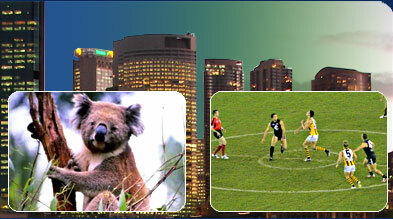 In Australia the Gross Domestic Product is measured by the “Australian Bureau of Statistics’. The Australian GDP is a main denominator of the economic health of the country. In the year 2006 the GDP (PPP) of the country was $645.3 billion. The abbreviation PPP stands for Purchasing Power Parity. The healthy GDP rate stands for a growing robust economy. The GDP growth leads the Australian Central Bank to increase the interest rate to combat inflation. So when the GDP growth in bearish it has to be understood that the economic growth is also low and vice versa in case of bullish GDP growth. EX stands for export of goods and services and IM stands for imports of goods and services. In Australia the GDP rate is announced by the Australian Bureau of Statistics quarterly at 1.30 GMT. There are two types of revisions one is made quarterly and the other takes place annually.